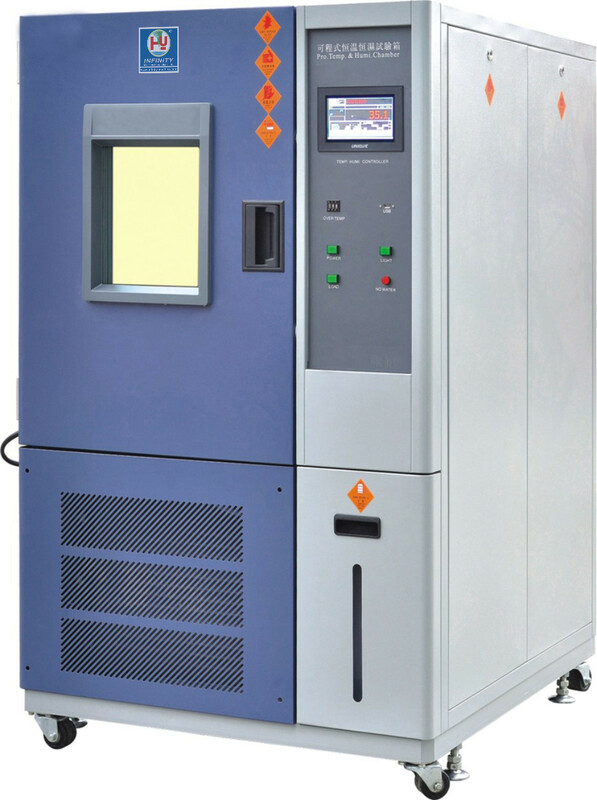 GDJS-100L is to test heat endurance, cold endurance, dry endurance, wet endurance of various materials. 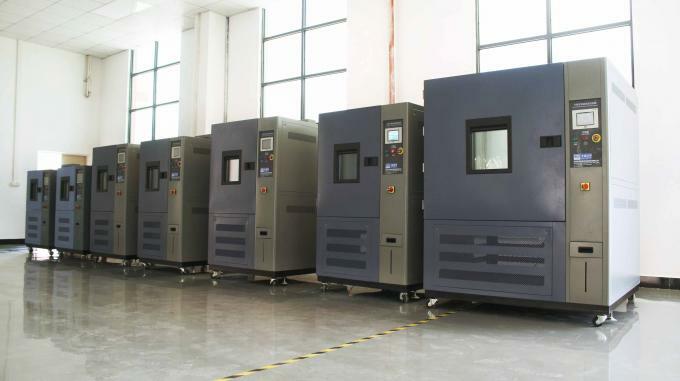 It applies for quality control of electronic goods, electric appliance, measurement device, food, automobile, metal, chemical, plywood, aviation, medical and etc. (1) Good appearance; stainless steel is applied for the inner and outside material of the chamber, flat knob without reaction force; easy operation. 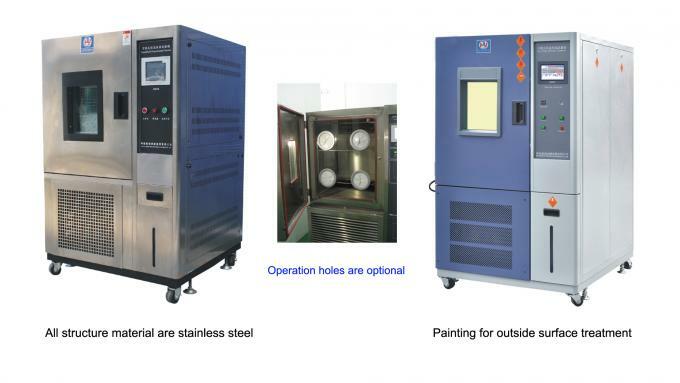 (2) It can be installed additional testing holes according to requirements. attached PC software available for far control. (4) Multi-wing ventilator inside the machine surpasses the traditional one exposing outside. It ventilates cyclically and strongly to make temperature evenly in the chamber. (5) Observation window: tempered glass with defroster, heating device, energy- saving illumination. (6) Hidden water giving system: pretty appearance and convenient watering operation. 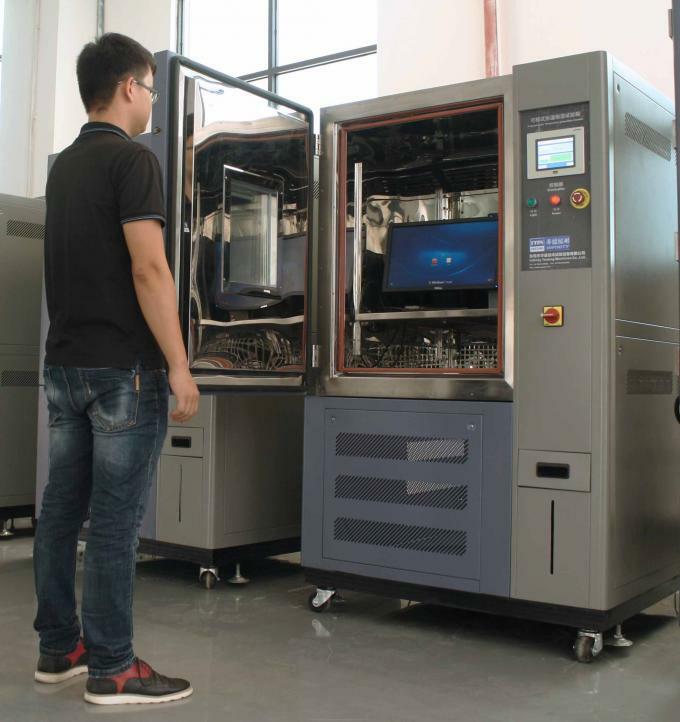 Make sure the machine without any strong vibration and airflow, no direct sunlight or other heat radiator, no high density dust or corrosive material. And keep 60cm space with other appliance or wall to make sure normal working and operation.